I’ve followed the diet so carefully, but I still get attacks of IBS, when everything I eat seem to upset me? Why does the pain always seem to get me on Monday morning? Why when I am looking forward to doing something, does diarrhoea always spoil it? Well, diet is never the whole story, your chimp may have a lot to answer for. We are not always the sensible, rational beings we like to think we are. We are also emotional creatures. Just stop and think. How are your feeling right now? A little curious, perhaps a touch anxious or depressed, maybe just plain irritated. And how did you feel when you were at work or at that meeting, or when that red car came up behind you too fast on the motorway or your read those comments on Facebook. Things get to us, they affect us, day by day, even moment by moment. Our emotions change like the weather; the temperature drops, then rises, the sun comes out, goes in again, it starts to rain, a breeze blows in. And just like the weather, the isobars and fronts of emotion also affect the way our body feels and functions. Physiologists know that heart rate, blood pressure, respiration rate, the conductivity of our skin, the motility of our gut, the rate of absorption, secretion, excretion, immune function, blood flow, are never stable, even when we are sitting quietly doing nothing. Everything is changing all the time. And the reason is that our minds are never still and what we are thinking about moment by moment can affect the way we ‘feel’ and the way our body works. If you were ever to doubt how much emotion affects physiology, consider how sadness makes your tear glands weep and the sphincter at the top end of your gullet go into spasm and cause a lump in your throat, how fear seems to grip the heart or desire excite the very core of existence. Such phenomena occur in everybody, but sensitive people may feel them more. Just as we are not always rational or sensible, neither are we a rattle bag of emotion. There is a constant communication between our rational self and our emotional self. Over the last twenty years, computerised brain imaging has identified the brain structures activated by emotion and discovered that these same brain areas also implicated in IBS, fibromyalgia and other ‘poorly explained’ medical conditions, but the science is new and reviews difficult to understand for mere mortals. We need a concept that we can all understand. In 2012, Professor Steve Peters, the Sheffield psychiatrist who coached the British cycling team to success in Beijing, published The Chimp Paradox, in which he envisaged the more primitive areas of the brain that determine our emotional reactions as our ‘inner chimp’, that can so easily sabotage the human part of our brain that is in our forehead and able to take the time to think, plan, and negotiate, consider where others are coming from and see the bigger picture. Chimps come from the jungle, where their prerogative is survival, things are either good or bad and they have to be sorted out now. Chimps can’t think things through. They just react to situations. It they see something, they want it now! They are impulsive and selfish. They always see problems as somebody else’s fault and want to fight about it. 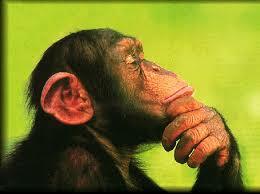 The difficulty for us is that our chimps can react while our human brain is still thinking about it. Consequently, the human in us is always trying to catch up and settle our chimp down before he does too much damage. Chimps are poorly regulated. In the jungle, they either have to do it now or succumb to starvation, attack or abandonment, but in our human world where everything is available and there is so much happening, they eat too much, drink too much, don’t sleep that well, are often annoyed and feel unwell, but they can also have a ‘wicked time’ and put all the pictures on Facebook. But we can’t keep our inner chimp locked away. Chimps love to play and have fun and as long as our inner human remains calm and stops chimpy getting over-excited, he can be a lot of fun. Chimps need to be contained and trained. If this sounds a bit like managing your children, it is. Toddlers are 90% chimp. It may take another 20 years before their human brain will develop enough to keep their inner chimp sufficiently contained to exist productively in society. But chimps do have a tendency to break out especially if life has been hard. The real trouble comes when those, we have elected to keep our societies together, our leaders and politicians, can’t even contain their chimps. So when your IBS is playing up, ask yourself, What has happened to upset my inner chimp this time? And how do I calm him down? We have all lived in society long enough to know the answers, but they are still worth repeating. Allow time to think. Sleep on it. Get things in perspective. Phone a friend. Write it down if that helps. Always consider the consequences of any action. Try to understand what has made you react the way you do. Chimps always do things for a reason, but this needs to be explained to them before they ‘get it’. Set boundaries, have realistic expectations, recognise your limits, prioritise. You can’t always have what you want. Be responsible for yourself. Address problems as they occur. Don’t see problems where they don’t exist. Learn from what’s happened, share it with friends and then let go of it. If somebody has hurt or annoyed you, allow time to pass, then talk about it, listen, try and see their point of view, but also explain yours. Be assertive and clear. Tell it how it is. But use humour, don’t take yourself too seriously. Don’t expect too much; accept them for who they are, but try to bring out the best in them. Negotiate, build a troop of people you trust. Chimps just love hanging out with friends. And remember, you are your own human. Don’t let your chimp frighten you into staying in an impossible situation. You can always walk away. A good post. Lots to think about and digest. So our uncontrolled inner chimp can make us ill? Yikes. The chimp paradox is a wonderful metaphor. There is no escaping we all have one. Better look after it. This entry was posted on October 9, 2015 by nickwread in Brain and Gut, sensitivity, Stress, trauma and tagged Emotion, Irritable Bowel Syndrome, sensitivity, The Chimp Paradox, Trauma.